We’re delighted to be working with Barsuk’s Steady Holiday for the first time! Whereas the first record took us on a trip through the deeply personal, Dre’s sophomore album Nobody’s Watching zooms way out. What began as a concept record about two archetypal crooks developed into an exploration of universal themes like greed, fear and self-interest; the ugly and troubling edges of human nature. It’s a good time for that. Dre worked with producer Gus Seyffert (Roger Waters, Beck) to create a sound that echoes the narrative told on Nobody’s Watching. From the sunny and observant to the dark and critical, the tone ranges from levity to paranoia through layers of analog synths and chilling strings played by Dre herself. There are moments of cinematic intensity reminiscent of a James Bond score, yet the subtle tape hiss and creaking chairs remind us that this is an album made by people. It is warm and it breathes, in the way the human touch can both soothe and suffocate. Nobody’s Watching is the natural next step for Dre and Steady Holiday, a project that builds worlds we wish to escape to or from. It’s an examination of the inner narratives we all share but keep in the shadows, where the characters may not always be likeable, but they do what they can to survive – like we all do. Tour support comes from Malena Zavala. Last year’s singles Should I Try and If It Goes showcased Malena Zavala’s inventive new sound. 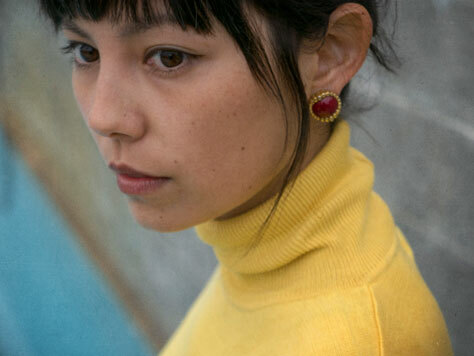 Fusing Latin rhythms with her dulcet vocals, they announced a vital new voice unshackled from the conventions of indie rock. The Argentine-born, London-raised artist, producer and filmmaker is now set to release debut album Aliso and new cut Could You Stay adds new layers to her exuberant artistry which has already been championed by LOBF, Wonderland, Nylon and much more.